According to a politically savvy friend, if anyone has a chance to democratize China, it will be a leader like Bo Xilai because 1. he had the support of the people; 2. he had support within the Party; and, 3. he could have held power after the transition from a one party to a multi-party system. The purpose of government is to distribute and justify the distribution of goods, which range from food and shelter through education opportunities and healthy living environments throughout society. Some societies use money as the primary tool to mediate the allocation of social goods, in China, however, political status — power with explicit connection to either the military or the police — is the primary social means of deciding who gets what and how it is delivered. This means that the closer one is to the Center, the more opportunities one will have to monopolize not only the allocation of social goods, but also what those social goods are and how they are produced. In short, opportunities to control and benefit from state monopolies over the means of production. My friend explained that Chinese politics is a series of expanding circles. At the center are high officials, in the next circle their family and friends, and then lesser relatives, and then the families of friends of friends of family friends… The point, of course, is double. First, with respect to those who have occupied the center, there are no compelling reasons to change the current structure of unequal distribution. What’s more, successfully changing the structure would entail creating political alliances that cut across all those circles in such a way as to first be able to dismantle the system and then maintain power in the new system. Second, the one hundred surnames are so far from the center that direct appeals to the people constitute a political wild card, which can be wielded by anyone with a wide enough power base. This is frequently the case in local and regional level politics where national appointees navigate and negotiate unfamiliar terrains before they are sent to their next position. However, most national appointees do not become popular in their brief bureaucratic tenures and popular local leaders rarely convert their local appeal into national charisma. Bo Xilai, however, was exceptional: he had widespread national appeal; he had deep support within and across the Party organization, including ties to the military and the police; and, he was savvy enough to navigate political upheavals. Indeed, he seemed particularly adept at outside-the-box responses to unexpected problems and it will be interesting to see if he is executed or ends up back at the center in ten years time. On my friend’s reading, the insular structure of Chinese political interests overdetermined the Cultural Revolutionary connection that linked Bo Xilai to Mao Zedong. Like Mao, Bo Xilai made highly symbolic gestures to help the people. In Chongqing, fore example, Bo set up neighborhood help systems for elderly residents whose family was working in other cities. A solitary elder could directly ring a bell that linked her to the neighborhood committee representative who would be responsible for coming to her aid. This gesture resonated across generations who have been separated as children have left home to work in other cities. Moreover, Mao and Bo’s willingness to upset high-ranking leaders when making these gestures further endeared them to the people. Bo Xilai skated at the edge of central Party politics for many years before transmuting a minor appointment in a Dalian county into a springboard to national politics precisely because like Mao, he not only dazzled the people, but also impressed journalists and intellectuals, who in turn promoted his project. Not only journalists sang Bo’s praises, but recently closed leftist websites like Utopianet (乌有之乡) publicly supported the Chongqing Model in contrast to the Shenzhen Model, which remains a key symbol of the success of Reform and Opening. 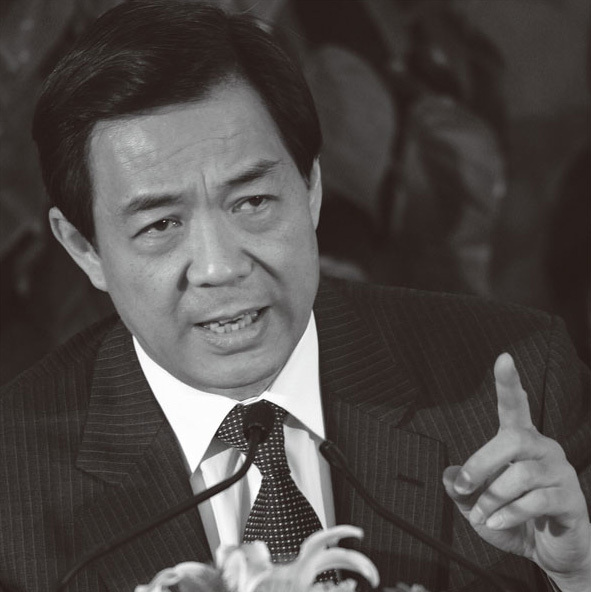 Bo Xilai symbolized the possibility of an end to Party politics as usual and his “Sing Red, Attack the Black” campaign resonated across Chinese political classes in ways that nothing Xi Jinping or Hu Jintao or Jiang Zemin have done. Today, there are efforts to disparage the Mao-Bo connection, but none have addressed the man’s capital C charisma. In fact, I’ve heard someone say, “I don’t care who he did or didn’t kill, Bo Xilai moved me. I only saw him once, but I felt like a crazy fan, who wanted a body autograph” and this comment goes straight to my point du jour. Weber has warned us that charismatic leaders do not necessarily overturn unpopular regimes and establish democratic governments. Moreover, the rise and fall of populist leaders in Eastern Europe and Russia have demonstrated that its difficult to uproot the Party machine from national politics. Nevertheless, Bo Xilai’s popularity despite his acknowledged crimes not only hints at just how high levels of dissatisfaction with Chinese politics as usual are, but also alerts us to how much violence is necessary to maintain the status quo. This entry was posted in noted and tagged bo xilai, charisma, china, chinese politics, cultural revolution, current-events, mao zedong, political culture, political legitimacy, popular culture, populist politics, state monopolies. Bookmark the permalink.